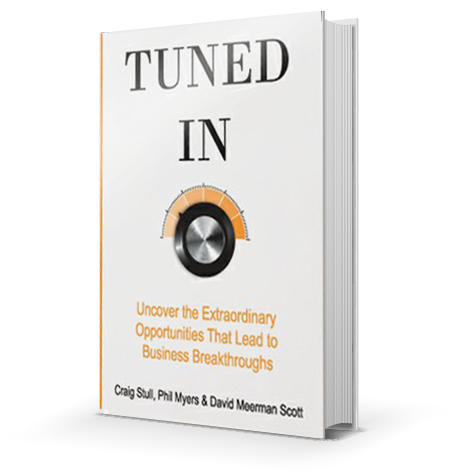 Find unresolved problems, create breakthrough experiences and launch market resonators. Are you guessing what your customers need, wasting time and money building, marketing and selling solutions your market doesn't value? Stop pushing products your buyers don’t want with expensive, meaningless advertising. Instead, discover how to connect to what people really need, and—most importantly—how you can become an organization they trust. "...for anyone who wants to shake the sleep out of an organization and renew a focus on creating the kind of value that customers are willing to pay for." "If you read nothing else: Chapter Eight, "Articulate Powerful Ideas," is a mini marketing seminar on how best to talk about your business and how to talk about it differently to different groups." "...making the book come alive in a way that promises to, yes, resonate with entrepreneurs in search of hot new products for their own businesses." "...in-depth treatment from three marketing gurus with a guide to creating products that meet needs so obvious that they almost sell themselves." "You’ll know your “tuned-in” thinking is working when the product or service you come up with “resonates” – when you don’t have to educate or persuade customers to buy it, because it simply sells itself. This approach is the linchpin of the book."